Santorini island is the top destination in Greece, visited by millions of visitors every summer. For most people, sightseeing is limited to taking the boat tour to the volcano, walking the caldera villages, watching the sunset from Oia village or gazing the fantastic view from their hotel. However, there are many other secret things to do in Santorini, if you want to explore the island off the beaten track. One of the best alternative things to do in Santorini is visiting the ancient town of Thera. 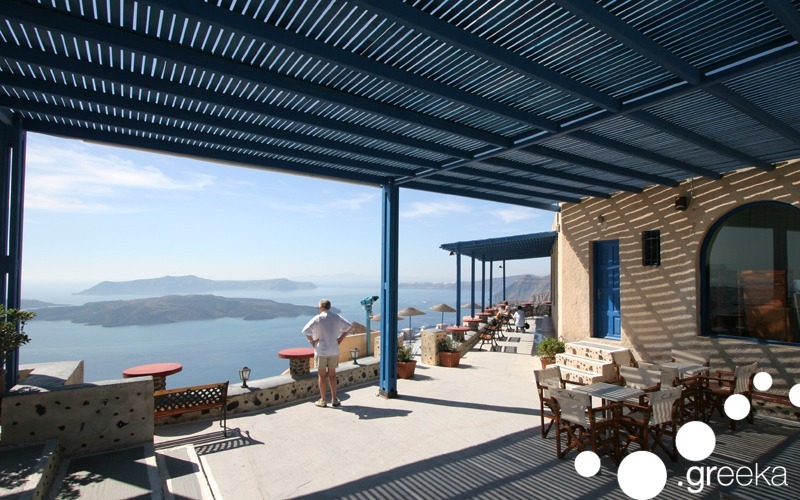 It is located on the hill above Perissa beach and approximately 13km from Fira. The most notable parts of Thera are the Agora and the Necropolis (cemetery) of this ancient town. Findings from excavations on the site are displayed in the Archaeological Museum in Fira, the capital of the island. The site is open to public. 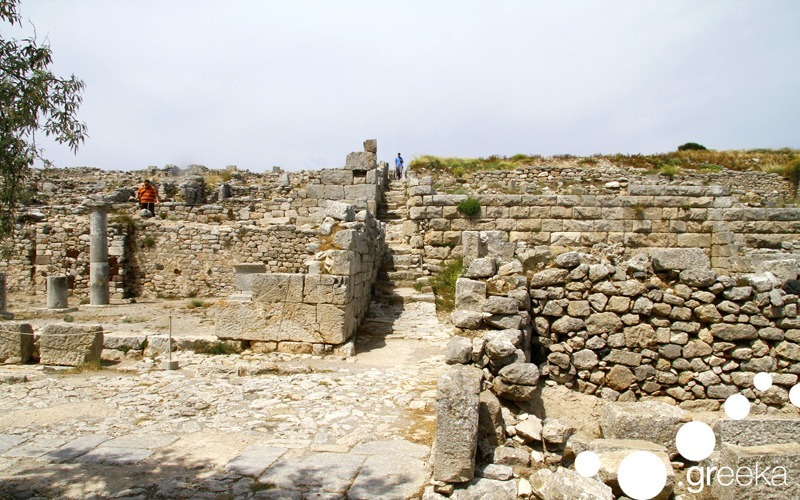 There are organized bus tours that go to Ancient Thera, although at the end of the route some walking up and down the hill is required. The view from Ancient Thera down to the Aegean Sea and the southern coast of Santorini is just breathtaking! Santorini is famous for its wine varieties and the many wineries around the island. Santo Wines, just outside Pyrgos village, is among the most famous wineries, due to its quality wine production and the fantastic view to the caldera. This winery organizes wine tours at its premises and has a shop with many traditional products of the island. It is also worth to visit for its view. In fact, the view from Santo Wines is so great that the terrace of Santo Wines is a popular wedding spot in Santorini. Even though Santorini is an island with well known beaches, especially on the southern side, there are some fantastic places to swim rather unknown to visitors. 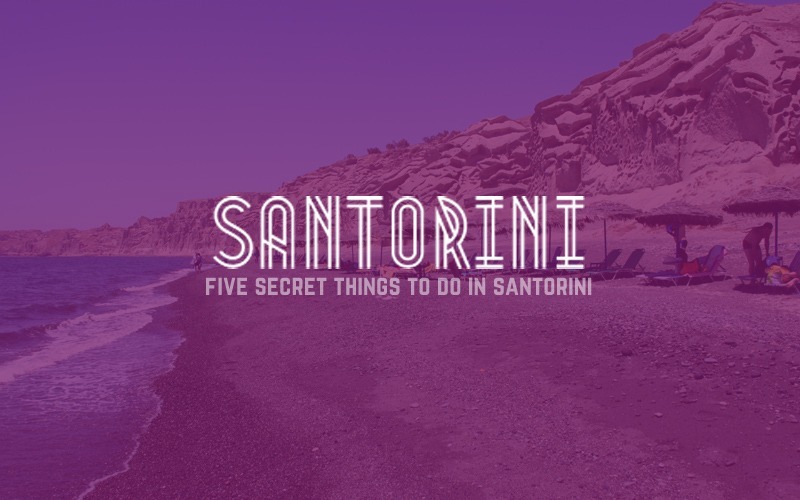 Among the best secret things to do in Santorini is to explore beaches like Cape Columbo or Eros beach. Both beaches have unique geography. Eros beach is located on the coastal line of Vlychada, 9 km south of Fira. This is a beautiful, calm and secluded beach surrounded by impressive cliffs, mostly visited by locals. Cape Columbo is located near Oia, 10 km from Fira. This is probably most isolated beach of the entire island. In contrast to Eros beach, Cape Columbo is not organised so visitors have to take supplies with them. 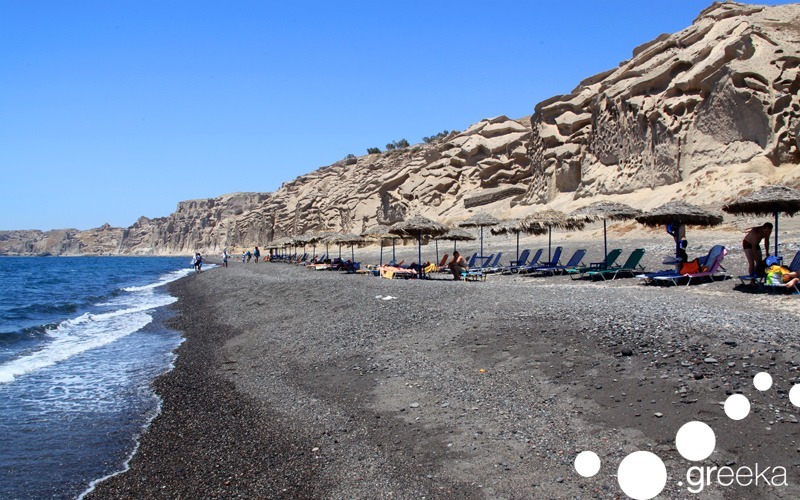 The most active underwater crater of Santorini is located close to this beach, making the water very hot. Due to its secluded spot, it attracts a lot of nudists. 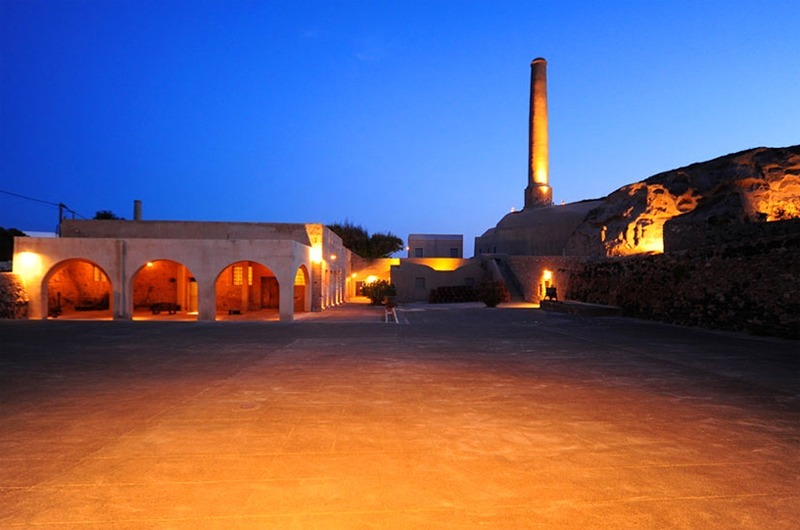 Located right on Vlychada Beach, Santorini Arts Factory is a newly-established (2014) museum and cultural centre, housed in an old tomato factory. The museum exhibition includes processing machinery dating back to 1890, hand-written books of the plant, old tools, the first labels of the tomato factory as well as audiovisual material with narrations of people who worked in the plant. During summer, it hosts many cultural events, such as concerts, lectures and theatre performances. 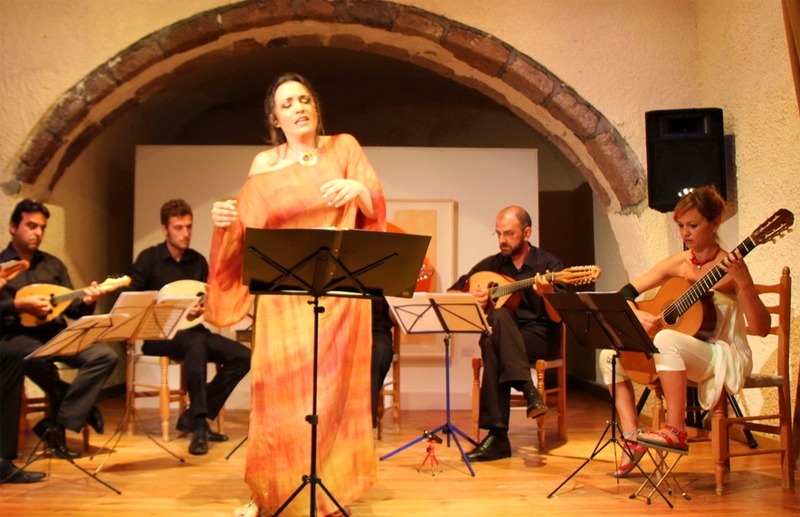 Among the most favorite secret things to do in Santorini is attend the Megaron Gyzi Festival. Located in Fira, this festival takes place in Megaron Gyzi mansion every summer, during the first three weeks of August. It hosts many Greek and international musicians and songwriters, mainly focusing on jazz, classical or vocal music. Parallel events include art exhibitions, lectures and theatre performances. All events have free entrance.